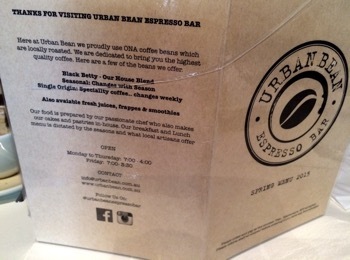 Urban Bean Expresso Bar in the heart of office worker buildings Woden, has always offered a range of great lunch options. 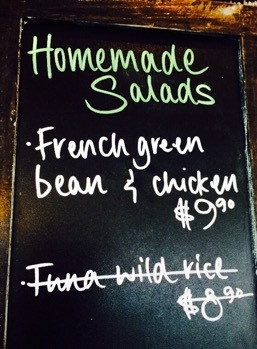 The gourmet wraps and burgers are always good, but it may be the salads that are the very best options on offer. 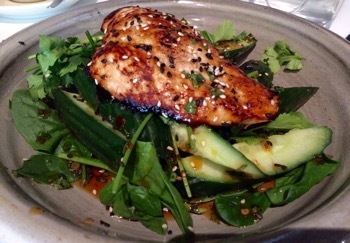 The Thai Chicken Salad ($14.90) has a great sesame and chilli dressing. 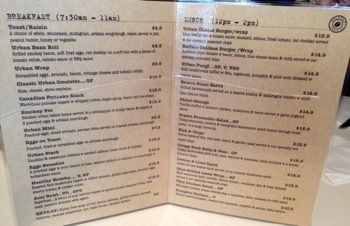 However, it’s worth checking the menu and the daily specials. 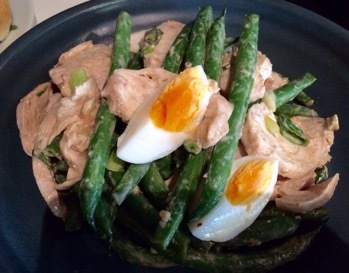 The French Green Bean and Chicken Salad had a very generous serve of chicken and was great value at $9.90. 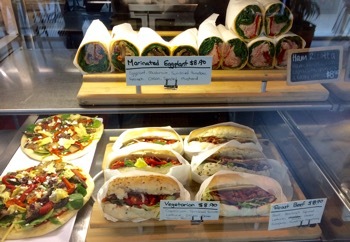 There’s also a range of ready to go wrap/ gourmet sandwich options for about $9…. 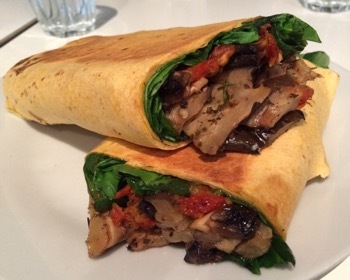 ….such as the marinated vegetable wrap (lacks flavour and very oily)…. 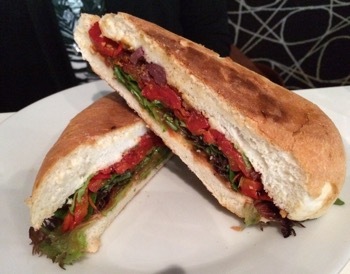 or a roast vegetable filled Turkish bread. 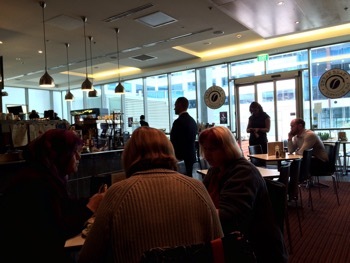 It gets busy so go early to grab a table. 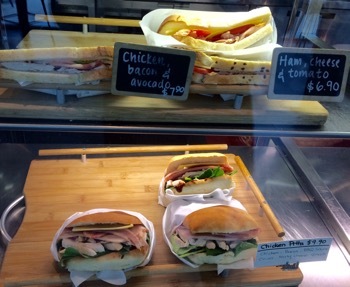 Urban Corner Cafe, Fyshwick – a convenient spot for lunch if shopping.